Video content delivery networks face many challenges such as scalability, quality of service and flexibility. Video suppliers address them through CDN. Cloud computing and Video content Delivery as a Service (VDaaS) plays a key role in improving the content delivery standard and makes the work of content providers, easier. By hosting video contents in the cloud, the content delivery costs are minimized and the overall content delivery performance enhanced by optimization of cloud CDN. Cost optimization of the cloud-based content delivery network requires a focus on delay or throughput, the overall performance and content delivery. The content placement and content access, the QoS and the QoE in CDN can be improved by enhancing the video content delivery performance. 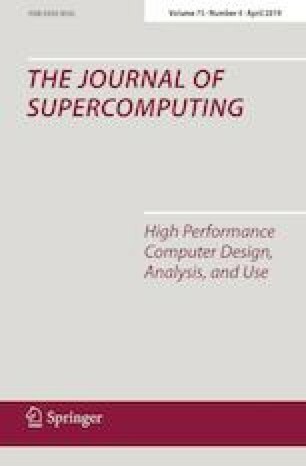 In this paper, a unique model for video content delivery, cloud-based is developed, titled as shared storage-based cloud CDN (SS-CCDN) to achieve the objective. This design optimizes through algorithms, the effective placement of video data and dynamic update of video data. For analysis, GA, PSO, and ACO algorithms are used. The proposed model uses direct and assisted push–pull content delivery schemes for cost-efficient content delivery. The low-cost VDaaS model reduces the storage cost, keeps the latency and the traffic cost. Experimental results validate that this model, with regard to storage, traffic, and latency generate higher performance with lower price and satisfy the QoS and QoE aspects in content delivery.